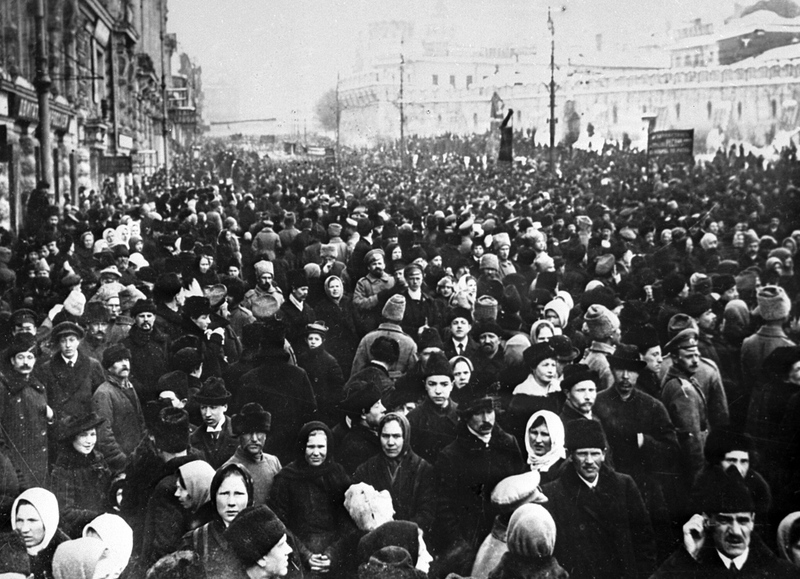 Muscovites demonstrating on Teatralnaya Square during the February bourgeois and democratic revolution. Reproduction of 1917 photo. Japan witnessed three waves of refugee arrivals from Russia after the February and October revolutions of 1917. Refugees who came as a part of the third wave chose to stay on in Japan, enriching the country with little-known aspects of Russian culture such as ballet. When the February and October (Bolshevik) revolutions took place in 1917, a small group of Russians found themselves in a virtual state of limbo in Japan. The community mainly comprised of military engineers and the staff of Embassy of the Russian Empire. The engineers came to Tokyo in early 1914, when Japan was one of the main suppliers of arms and ammunition to the Russian Army. They were engaged in the purchase of weapons for the First World War, as well as various kinds of administrative and technical issues. Why doesn’t Russia return the ‘Northern Territories’ to Japan? The diplomats became hostages of the situation and lost contact with Moscow. They refused to recognize the Bolsheviks. “The embassy without a state operated until 1925. One of the employees of the embassy was Zoya Popova, the first woman diplomat in Russian history. She came to Tokyo in 1916 after completing her university studies in St. Petersburg. She thought about escaping from Japan after the revolutions, but chose to stay back in Tokyo after meeting and falling in love with Mikhail (last name unknown), a military engineer. The couple dropped plans to leave Japan after Popova became pregnant. In 1922, Mikhail returned to the USSR, where he was executed. Zoya and her daughter remained in Tokyo and experienced the Great Kanto Earthquake. After suffering from hunger and unemployment, Popova managed to get a job at the American Embassy. She stayed on in Japan till the 1930s when an increased level of militarism made life difficult in the country. Popova and her daughter went to Australia via the Philippines. After having lived most of her life abroad, she moved back to the Soviet Union in the 1950s. Petr Podalko, a historian specializing in the Russian Diaspora from Aoyama Gakuin University, has written in great detail about the waves of refugees from Russia to Japan after the revolutions. In his book titled ‘The Russian Community in Kobe: A Historical Overview,’ Podalko identified three waves. The first wave began in the spring of 1917, when around 100,000 prisoners (both political prisoners and criminal offenders) were released as a result of the February Revolution. A large number of these former prisoners left Russia and sought refuge elsewhere. The few that ended up in Japan decided to not settle down in the country, as they were afraid of the linguistic and cultural barriers. Russian refugees who could speak European languages decided to rebuild their lives in Europe, North America or even Australia. The second wave occurred immediately after the Bolshevik Revolution, however, accurate data on the number of refugees in this stream is not available. The refugees tried to avoid official registration, since they feared that the Japanese authorities might send them back. Like those who came in the first wave, the refugees who streamed in after the communists seized power in Russia stayed briefly in Japan. Some chose to register with the authorities as “transit passengers,” waiting for months for connections to the U.S., Australia or China. It should be noted that the Russian Empire was multinational and multiethnic. This affected the registration of refugees from the empire in Japan. Professor Podalko wrote in his book that natives of the Kingdom of Poland, which before the revolution was also a part of Russia, were registered as Poles, and not as Russians. A significant number of Russian Muslims applied to stay in Japan as Turks. This is why there are so many ‘Turkish’ graves in Japan. Jews registered both their nationality and religion with the authorities. The immigration situation was so overwhelming that Tokyo required all migrants to show means of financial support. From February 1920, each arriving foreigner, except transit visitors, was obliged to show cash worth 1500 yen in any officially recognized currency. With the defeat of the Siberian Army of Admiral Alexander Kolchak in 1920, and the final victory of the communists in the Russian Far East in 1922, Japan witnessed a third wave of Russian refugees. Several thousand refugees came in this wave, and within a short period of time Russians became the largest ethnic minority in Japan. A large number of these refugees were either Siberian peasants or former soldiers loyal to the Russian Empire. Many Russians who came in this wave made a name for themselves in Japan and were ambassadors of Russian culture. Japan was introduced to Russian chocolate and ballet.